There are many advantages in the pure aluminum, first, it can be strengthened, the strength can be increased through the cold processing, and the element of Mg, Zn, Cu, MN and SI-L can all be added to it and make the alloy, and the strength will be increased through the hot conduction. The strength of it can be comparable with the high quality alloy. 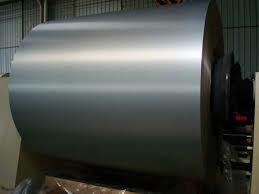 The density of the pure aluminum sheet is small, the density of it is near 2700kg/m3, and it is the 35%of the density of the iron. Besides, it is anti-corrosion, the surface of the aluminum and its alloy is easy to form a film on the surface, and it is the A 1203 protection film, and this protection film will be destroyed only with the strong action of the alkali ion, so it can bear the influence of the air.